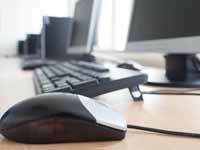 Junction PC is a technology solution provider and system integration company. We leverage our expertise to complement and enhance in-house technical staffs with high-level technical knowledge. Our firm provides network services and support, strategic planning, project management, project implementation and deployment. Our focus is on building and maintaining business partnerships with our customers adding value, efficiency and productivity to their business. By designing, developing and implementing innovative technologies our customers are able to realize their goal of streamlined operations, reliability and security while decreasing costs. Each client's IT environment is unique, thus requiring specific considerations as technological enhancements are needed. Changes to an existing IT environment, or the addition of a totally new technology, require a detailed analysis and design to guarantee its overall performance and productivity. Our approach to architecting the right solution focuses primarily on our client's specifications in combination with our years of experience to reduce overall complexity of systems, data and network management. Armed with the correct solution for the client, our team of technology experts works collaboratively with our customer, as a partner, during the implementation of the solution. Key security and business productivity considerations are taken into account with every change to ensure optimal performance throughout the entire process. We hold ourselves accountable to ensure our client infrastructure and systems remain secure. Cost effective, scalable solutions are the key to our clients' success. We have consistently implemented our proven, customized infrastructure designs through careful management of the entire process. At Junction PC, we always expect your network solution to align with your strategic direction, not the other way around. We design and implement a security system and policy that protects your intellectual property, without interfering with worker productivity and without interfering with partners who access your business through a Virtual Private Network (VPN). We partner with SonicWall and Barracuda Networks for maximum network security. 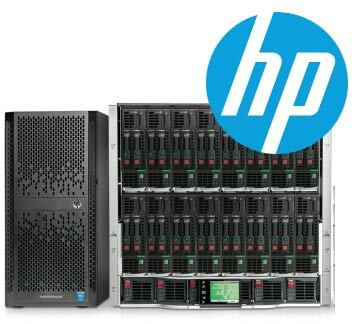 HP ProLiant rack and tower servers provide the right computing power for the right workload. Small business, remote office, or departmental use? Check. Expansion and large-scale applications and databases? Covered. It's about flexibility for a wide range of applications. A poorly-designed network can cripple your business. Your performance can level off - you can even lose market share - if your network does not operate as intended. A robust, scalable network is vital to your success. The complexity of today's networking technologies demands that you retain the services of experts to lay the groundwork for your network today - and for tomorrow. Our network integration architects follow our proprietary Enterprise Technology Solutions framework to design and implement a robust and scalable network that uses today's most advanced networking technologies from such leading vendors as Microsoft, Cisco, and Hewlett-Packard. Yes, your business needs a disaster recovery solution. Datto ALTO 2 is the only hybrid cloud solution that keeps you up and running through outages, data loss and disasters. This business continuity solution is built specifically for small businesses, breaking down the barrier of entry for both the solution provider and end-user. You get a compact and powerful appliance that takes snapshots of your servers and workstations, then replicates them to the ultra-secure Datto Cloud, all for a minimal cost. Most small businesses are using at least some type of solution to avoid data loss, but very few are protecting their business from downtime, which can be even more devastating. ALTO 2 will protect your business from data loss and ensure that in the event of a disaster, you are fully operational with little to no downtime. Datto ALTO 2 packs 1TB of local storage in a slim mini-PC unit that measures only 5 inches square and 1.7 inches tall. Off-site storage is flexible, with 150GB, 250GB, 500GB and 1TB plans, with the option for unlimited cloud storage. Datto ALTO is available in both physical and virtual platforms. Virtual ALTO supports both VMware vSphere and Microsoft Hyper-V.